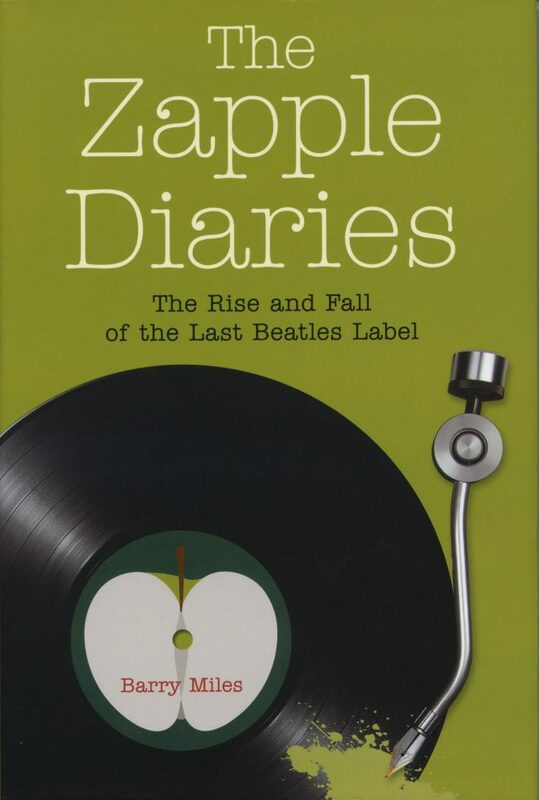 The Zapple Diaries, published November 2015, was an idea put to me by Will Steeds, the head of Elephant Books, a packaging company. I think his interest was more in the fact that I had recorded the only album ever made by Charles Olson, rather than the story of Apple and it’s offshoot, Zapple. The project went through a few changes, but here it is, from the prestigious imprint of Peter Owen, one of the few publishers we tried to carry a full stock list of when I ran the Indica Bookshop back in the sixties. Zapple was the avant-garde label that the Beatles created to release their less commercial, and more experimental material but it was seen mainly by them as a way of promoting avant garde ideas and as a way to give exposure to little known poets, writers and playwrights. It didn’t last for long because John Lennon brought in Allen Klein as Apple’s business manager and his first move was to get rid of anything that wasn’t making immediate money. We released two albums: one by John & Yoko – a follow up, as it were – to Two Virgins; and an album of George Harrison learning to play the Moog Synthesizer. My book, however, is about all the records recorded for the label but not released by them; albums by Charles Olson, Ken Weaver, Richard Brautigan, Charles Bukowski, Michael McClure, Allen Ginsberg and Lawrence Ferlinghetti. I hope it provides a bit of insight into how we were all feeling and acting in that last year of the decade of the sixties.